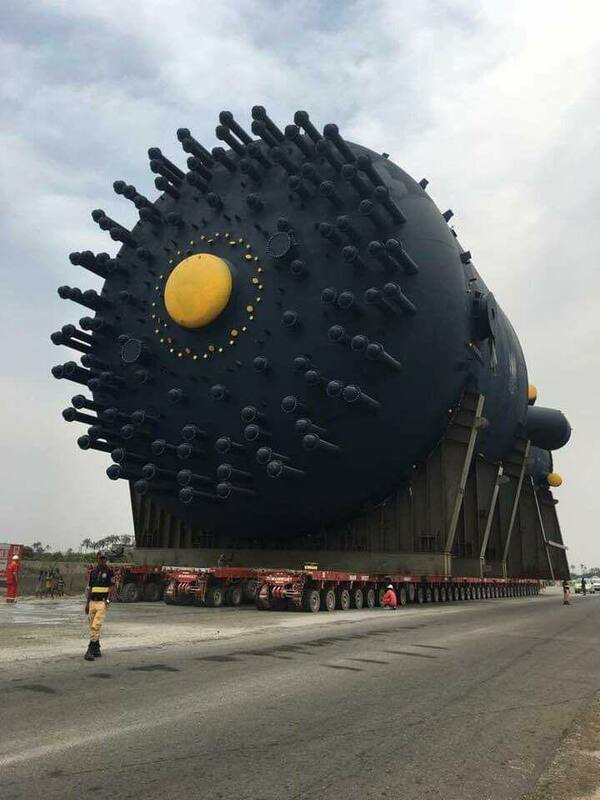 Reports have it that Dangote refinery has taken delivery of a gigantic distillation component. It is learnt that the component is one of the biggest in the world as the refinery is billed to start producing PMS and allied products later this year. 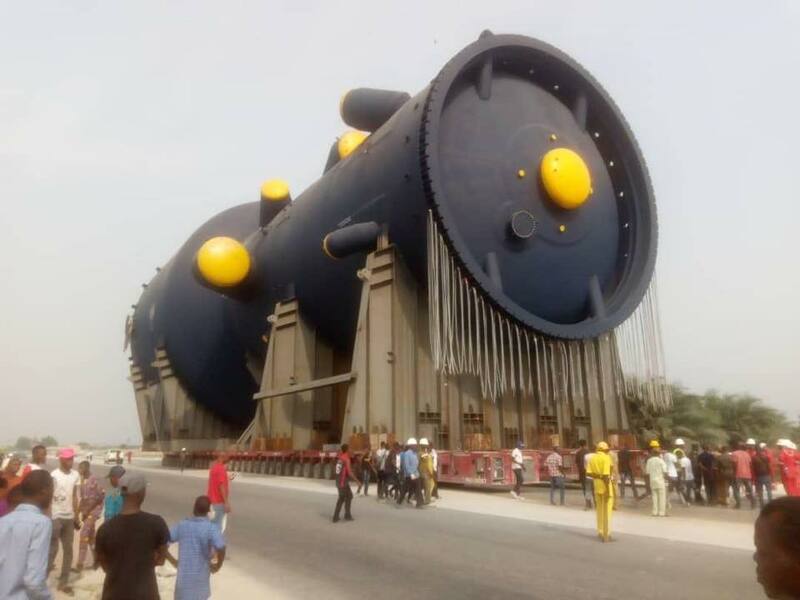 The engineers received the distillation component, which has attracted attention from Lagosians in Ibeju-Lekki area. The completion of Dangote Refinery this year will mark another milestone in the Nigerian oil and gas industry as the $11 billion refinery hold the prospect of stopping of refined petroleum products by Nigeria. The Dangote Refinery will produce 650,000 barrels per day of refined petroleum products to meet all the country’s refined petroleum products needs as well as export to other countries. Dangote, the promoter, said that the refinery projects were primarily meant to diversify the resource base of Nigeria.